· Clothes not drying as fast as they used to. · Visualizing bits of lint coming out of dryer vent while drying clothes. · Visualizing the end of the dryer vent full of lint. · Burning smell while drying clothes. It is very important to have your dryer vent regularly cleaned by a professional. This is especially true if you are experiencing any of the signs from the list above. It is highly recommended to have your dryer vent cleaned before you notice these signs to prevent fires that could harm your family and your home. When cleaning your dryer vent in Houston, TX we use a combination of specialty tools that remove all of the lint and debris from your dryer. These include a vacuum cleaner and specialty equipment to loosen up all of the lint so it can be sucked out. We first hook the vacuum hose to the vent behind your dryer. We then use our specialty dryer vent tools to loosen the lint from the vent to allow it to be sucked out. 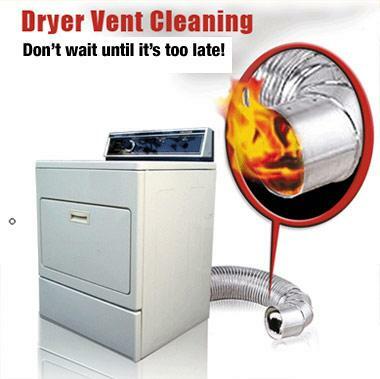 For affordable dryer vent cleaning in Houston, TX, contact SMC Cleaning Services today at 281-899-0402. You can also fill out our form below for a free quote.